This article has been modified for publication with permission from its original author, Kay Sargent. It’s the first in a three-part series on the changing work environment. Timing is everything. Power lies in the realization of the pivotal shift that is profoundly affecting the present and defining the future. The current global financial crisis has forced just such a moment, prompting accelerated change and promising huge opportunities for those who recognize them. By necessity, the workplace will be re-thought, reconfigured, and rebuilt to achieve greater functionality and profitability. Smart companies and corporate real estate (CRE) decision makers who understand the implications for their portfolio, workforce, and bottom line will need to plan tactically and leverage opportunities for a bright future well ahead of the curve. Lost revenue and massive layoffs have taken a toll on CRE portfolios. Recent vacancy rates have accelerated. What was once an asset has become a liability as workspace increasingly goes under-utilized or, in some cases, vacant. Although each company is unique and some firms continue to expand, the pressure remains for many organizations to maximize shareholder value, increase productivity, and squeeze additional savings out of corporate portfolios, especially in light of leaner budgets and fewer resources. With CRE typically second only behind labor as the most expensive cost for firms, smart companies should assess their workspace and business goals from every possible angle to take advantage of impending changes. Success depends on flexibility and employing a holistic approach. To ensure efficiency and remain nimble, decision makers much implement comprehensive strategic planning to identify options, opportunities, and obstacles in every aspect of the workplace. When planning, keep the following questions in mind: what are some realities companies should understand and leverage to cut their losses, rethink the workplace, plan strategically, and profit? What changes must be made and why? How do companies successfully determine and control the appropriate action for their unique situation? Today’s workplace must be leaner, meaner, and more efficient in providing the necessary resources for a staff forced to work smarter and harder. The modern workforce is distinctly diverse — multi-generational, multi-ethnic and, for the first time in modern history, highly inclusive of women. Four generations are involved: Veterans, Baby Boomers, Generation Xers, and Millennials. This new reality has forced employers to adapt as employees multi-task and invent new roads to success. In addition, workers have engaged in a wholesale redesign of their workspace in search of a greater work-life balance. Veterans, born prior to 1944, are largely moving into retirement and play a diminished role in the workplace by virtue of their dwindling numbers. While their legacy — which includes a traditionally hierarchical work style and admiration for authority, inflexible work hours, and a company-provided pension plan—is still felt in many workplaces, it is primarily Baby Boomers, Gen Xers, and Millennials that are the key players. Generation Xers, born between 1964 and 1984, are the original latchkey kids, having been reared by working and/or divorced parents. By necessity, they are independent and self-reliant. Believing their parents lived to work, their goal is to flip tradition on its ear by utilizing their careers as a vehicle to richer, more exciting lives. Gen Xers were the first to introduce work-life balance initiatives into the workplace. Pragmatic and flexible, they often wither when confronted with structured work hours, and generally employ a casual approach to authority. They are also tech savvy— one could easily say this generation was at the forefront of the technology revolution—and see the office as an important connection to necessary resources. Although they tend to focus on self-advancement and will often change individual goals to suit that end, collaboration is key with Gen Xers. As older generations move through the various stages of retirement, this generation is poised to overtake management positions and fill key decision-making roles. Millennials, who overlap with Gen Xers, were born between 1978 and 1995; truly children of the digital age, they tend to possess an intuitive feel for technology and are natural multi-taskers. As masters of instant communication and social networking, Millennials are natural collaborators, preferring to work in teams. They readily share information, seek feedback, and want to participate in the decision-making process. 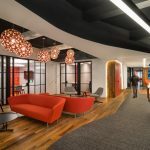 At the same time, they expect – and intend – to customize their work lives with the same ease they personalize their home lives; job duties, hours and workspaces are as interchangeable as desktop wallpapers and smart phone skins. They exhibit an intense commitment to work-life balance, and feel issues such as environmental sustainability and social consciousness are paramount. Contrary to popular belief, Millennials are willing to work hard, but require meaningful tasks or entrepreneurial opportunities to gain motivation and achieve success. According to a Kelly Services’ international workplace survey, 51 percent of those surveyed were prepared to accept a lower wage if their work contributed to something more important or meaningful. Growing up against a backdrop of corporate irresponsibility, a fractious government and increasing global discord, younger workers have witnessed entire corporations implode, taking their grandparents’ retirement fund in the process. They have seen the stunning collapse of organizations long considered impregnable pillars of the free market. Not surprisingly, climbing the corporate ladder – which they now know can be fraught with broken promises, restrictions and a tarnished reputation — holds little attraction for them. On the other hand, Baby Boomers, born between 1944 and 1964, have been profoundly affected by societal shifts, but are quick to remember the difficult times of their youth. Conditioned by the structure of corporate life, they have been forced to cope with their own disillusionment and, in many cases, significant personal financial losses. Many Baby Boomers have opted to postpone retirement to remain in the workforce, rebuild their assets, and preserve their legacies. Some may seek to strike a balance by moving into ‘soft retirement,’ and becoming a part of the largest distributive workforce to date. Some Baby Boomers will struggle with issues such as flex time and multi-tasking, and technological proficiency will be an enduring goal for many. However, the emphasis Gen Xers and Millennials place on collaboration undoubtedly creates an opportunity for cross-mentoring, allowing Baby Boomers to pass on valuable knowledge and experience, and benefit from the innovation and fresh approach of their younger colleagues. In the next installment: Sustainability in the workplace. Next articleWhat if There Was No Color?